Here are the Kusadama flowers displayed on my hearth. 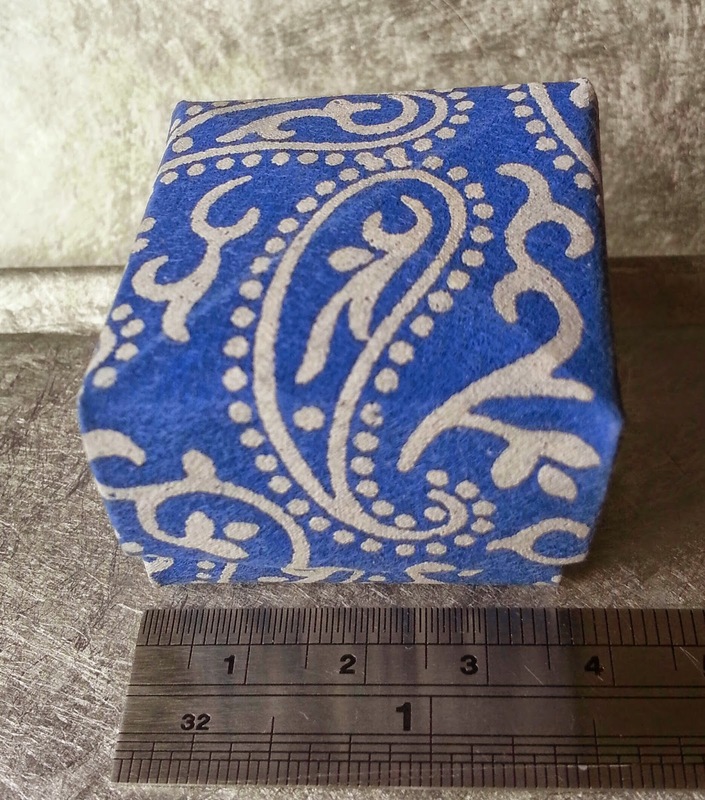 I was very pleased to have the inspiration to put them in here, a little pot of extra long matches for fire-lighting. 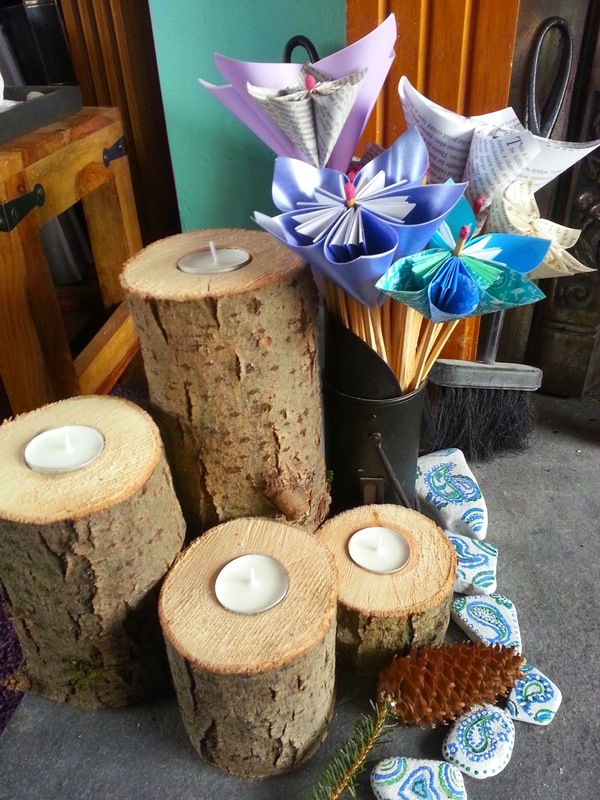 And they sit beautifully next to log candle holders that my husband has made. 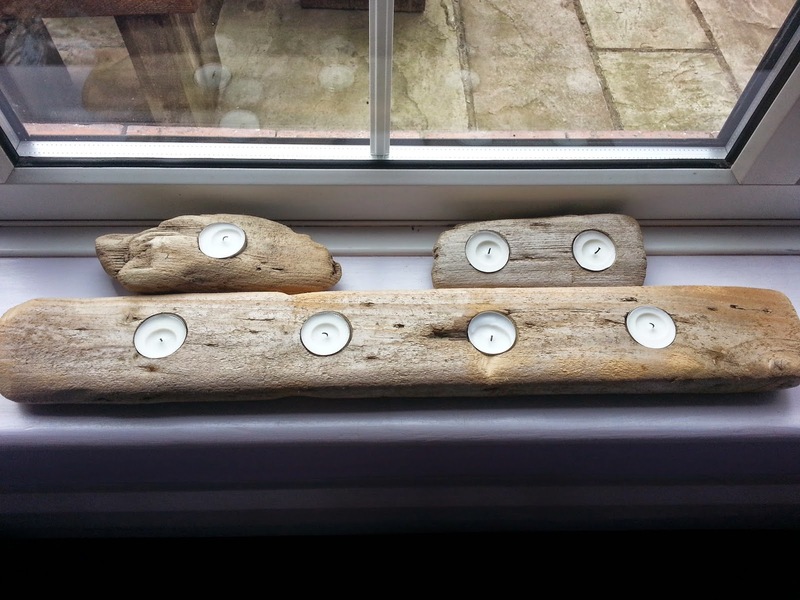 On our window sill are more candle holders, this time from driftwood. These were collected last May and have been sitting by the front door waiting for inspiration to strike. A friend of mine paints messages on pieces she collects and I thought I might do something similar but I love the way these work with tealights. This is a card for my brother-in-law's 60th birthday. 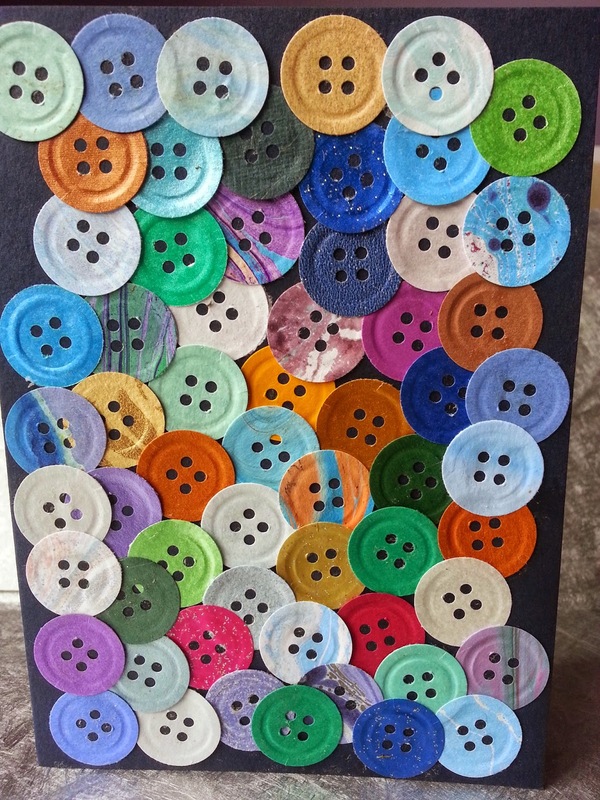 Hope he appreciates the effort it took to punch out and glue down 60 buttons! 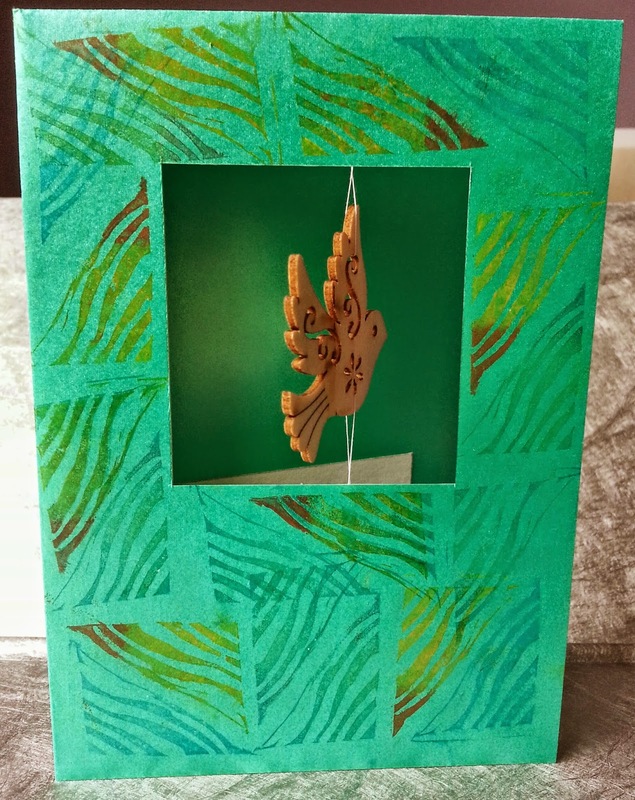 This is another birthday card following the theme of cut outs with a picture or motif inserted into the space, which I've used previously. And here is a valentine's card for my darling husband. I found a website which will calculate the numbers of days from any two given dates. It also helped me work out when we have been together for 10,000 days - October this year! 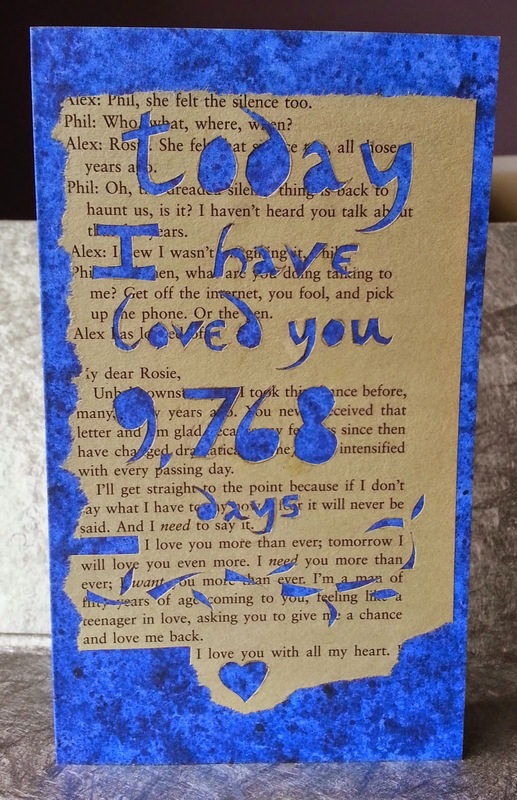 This card is influenced by Rob Ryan and Sarah Morpeth, both of whom produce beautiful paper cuts. Have a look at their work. 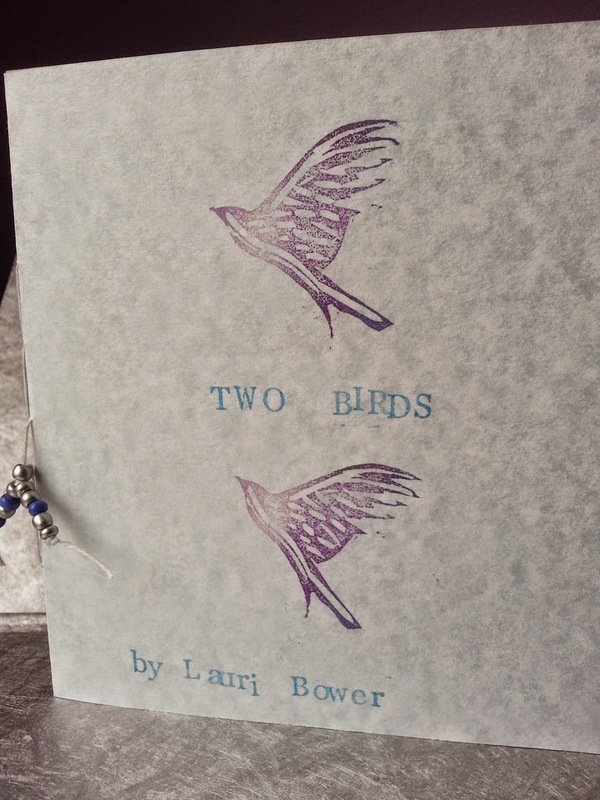 Here are the next 2 books I have made, working up to 50. 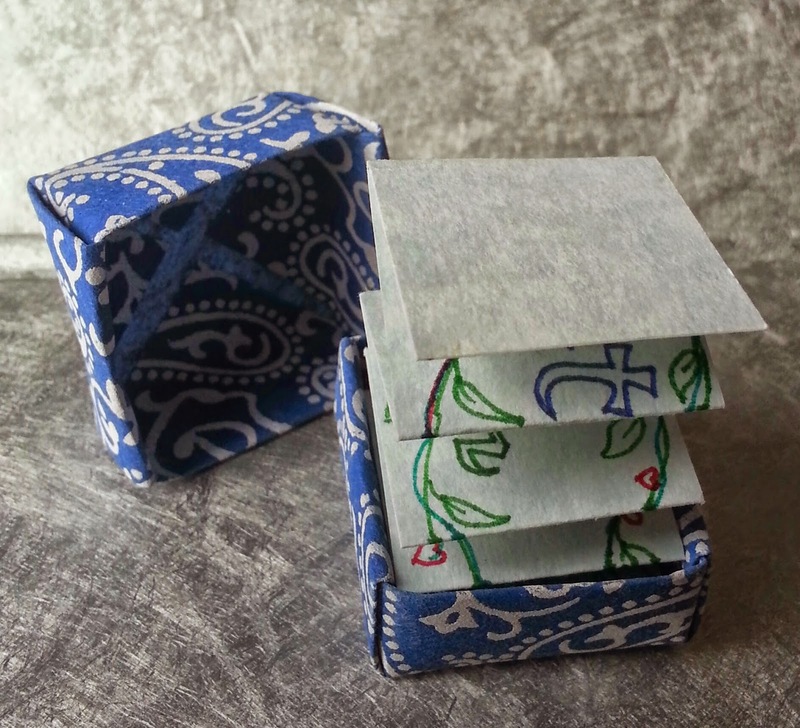 This is a tiny concertina book inside a handmade origami box. You can see the size of it, just under 4cm. This is it open, springing out of its box. in - out - deep - slow - clam - ease - smile - release - present moment - wonderful moment. This is a well known meditation from Thich Nhat Hanh. Here are the inside pages, with cutouts for the two birds. The book is printed with each letter done individually. 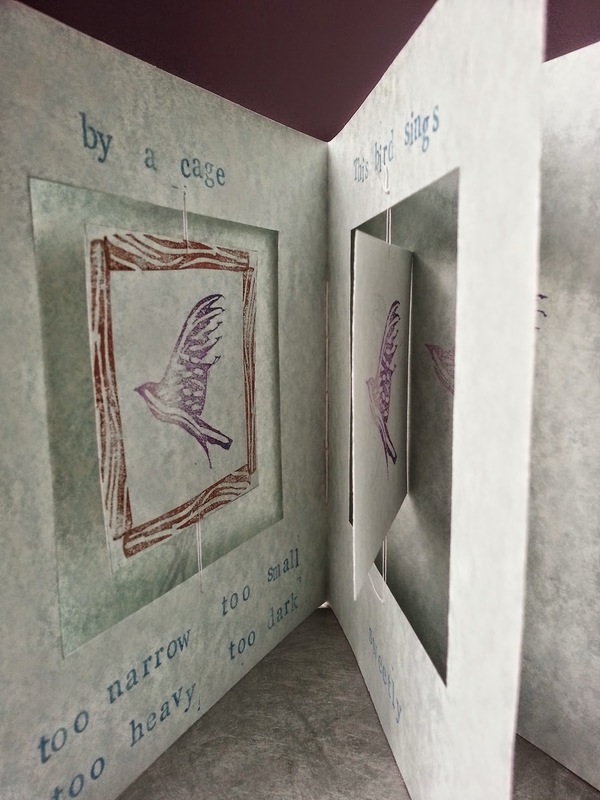 I have decided that in this, my 50th year, I am going to make 50 handmade books. All different kinds. Some will be plain notebooks and others will have content in them. I don't yet know what they will all be but I'm hoping that in making one there will be another idea for the next one. This is the plan, let's see if it happens! My intention is to make 50 books throughout this year and then hold an auction of them all. The proceeds will go to Plum Village, the monastic community in France where Thich Nhat Hanh lives - http://plumvillage.org/. This seems to me a rather exciting and pertinent way of celebrating being 50. I have already begun, although when I made the first 5 books this year I didn't realise this is what they were for. 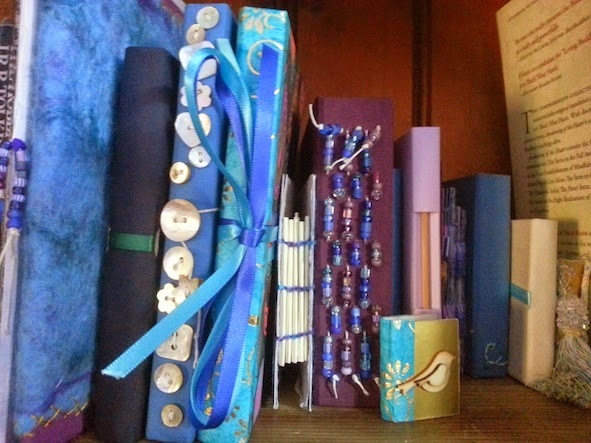 You can see the first 5 books on a previous post called 'A library of handmade books'. All I'm doing is extending the library. I intend to have an exhibition of them somewhere (ideas and thoughts gratefully received) when I have finished so people can view them and then bid for them. Here's a photo of some I have previously made (if I run out of time these may end up in the auction as well).